Our club coaches take to the courts to deliver squash in a fun and friendly environment. 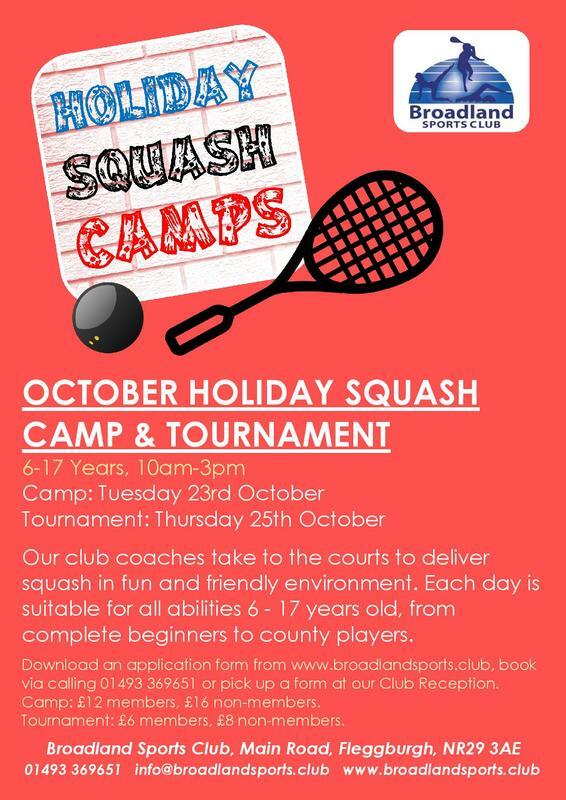 Each day is suitable for all abilities 6 - 17 years old, from complete beginner to county players. Pack lunch required, or alternatively hot food will be available to purchase. Please remember to bring eye protection, alternatively goggles will be available to borrow. All bookings will be confirmed via email. To complete booking please complete registration form and make payment.